NOTE: Win/Loss statements reflect carded slot and table games play only. Poker play is not accounted for. Lots of variety keeps taste buds happy! 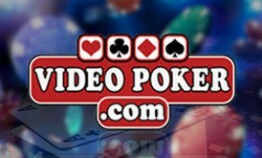 Play all of your favorite video poker games.